The Extended Day Program is committed to making out of school time valuable, enriching and fun for every child. Before and after school each day, the Extended Day staff focuses on building positive relationships with the children and providing opportunities to learn and thrive through play. It’s a very intentional approach to building Developmental Assets, the essential building blocks for the healthy development of children and youth. Research indicates that the more Developmental Assets a young person has, the more likely he/she is to grow into a healthy, productive adult, avoiding at-risk behaviors. 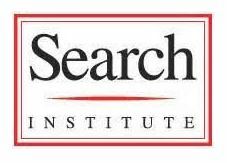 Established by the Search Institute, the Developmental Assets include external attributes such as adult role models, creative activities, and high expectations. The Assets also include internal characteristics such as integrity, honesty and the ability to resolve conflict peacefully. Through positive relationships, interesting activities and unique opportunities and experiences, Extended Day is building Assets every day with every child. They focus on supports, not deficits. Extended Day supports young people through the relationships we build, the environment we create, and the opportunities we provide. The research is clear: the more assets a young person has, the more likely it is that he/she will make healthy, positive choices. Conversely, the fewer assets a child has, the more likely it is that he/she will engage in at-risk behaviors. Extended Day consciously focuses its programming to include activities and opportunities that build assets in children to help them grow and develop.